Javea nightlife may be a long way off the wild nights you can find in Benidorm but there are some great places to dance the night away. The first of these is Moli Blanc Javea. It opens at about 11pm but you really want to arrive much later than that if you want to find the crowds. Some evenings their PR people will visit some of the restuarants on Javea's Arenal to give out free entry bracelets. We got ours when we were dining in Los Remos - giving free acess if we arrived before 2am. 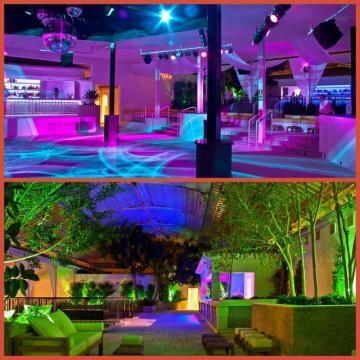 The club is a combination of disco garden, tented areas and dancefloors. It has several bars, great lighting and a top notch sound system. It is open till the early hours (sixish I think). For a guide to prices - we had three combinados (G&T etc) and a beer for about 26 Euros (Sumnmer 2014). For a view of what it is like, check out this Youtube Video of Moli Blanc. Moli Blanc is located between ther Port, Old Town and Arenal near the McDonalds, Lidl and Hipercor. Every Taxi driver knows it - in fact everyone in Javea knows it - the club has been a fixture of Javea nightlife for 30 years or more. 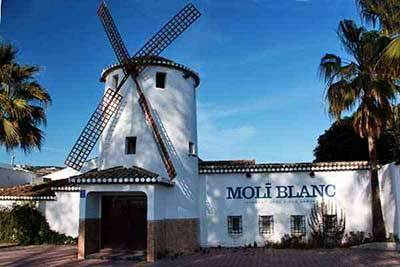 Website for the Moli Blanc can be found here.